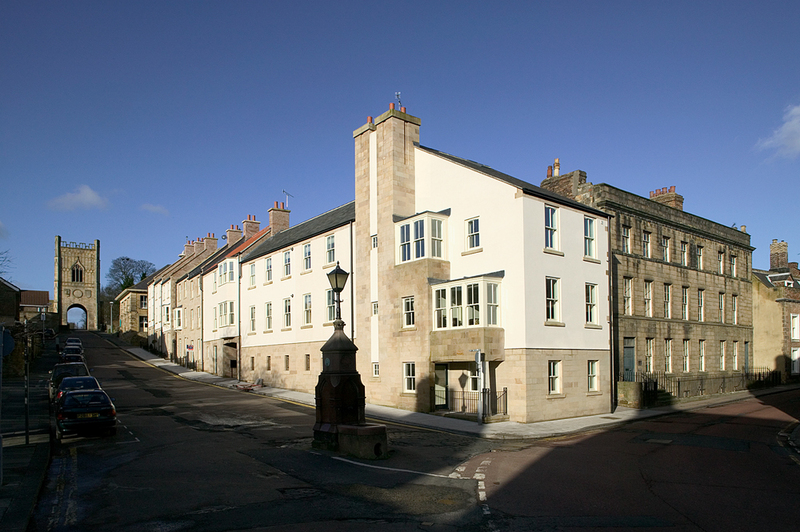 Our commission for this project began in 2000 when we worked for the landowner, The Northumberland Estates, to gain planning approval for this former garage site in the highly sensitive historic core of the town of Alnwick. Following sale of the site to Rivergreen Developments Plc, we were appointed by them to provide services for Detail Design through to completion on site. 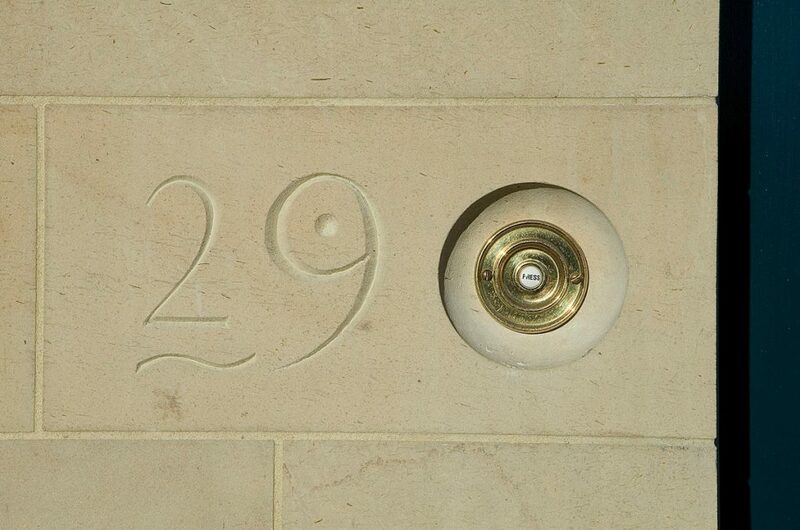 The award winning scheme consists of seven town houses and seven apartments. 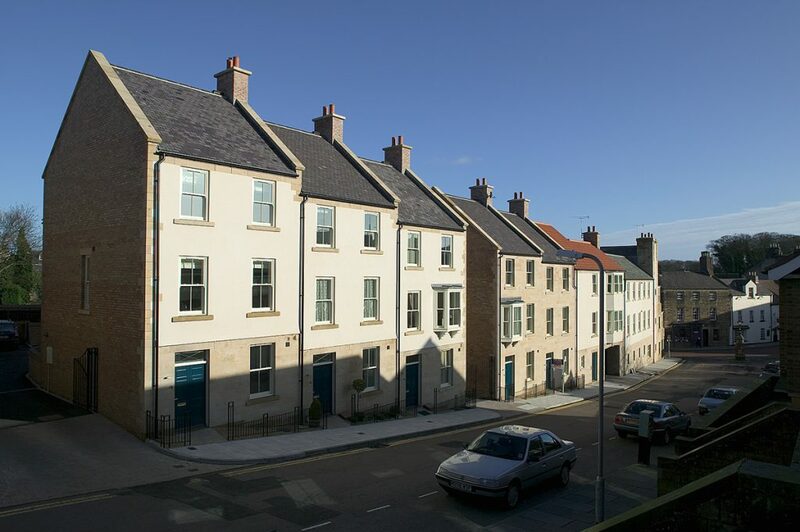 Five of the town houses are set on the street front, stepping down the hill to follow the natural fall of the land. 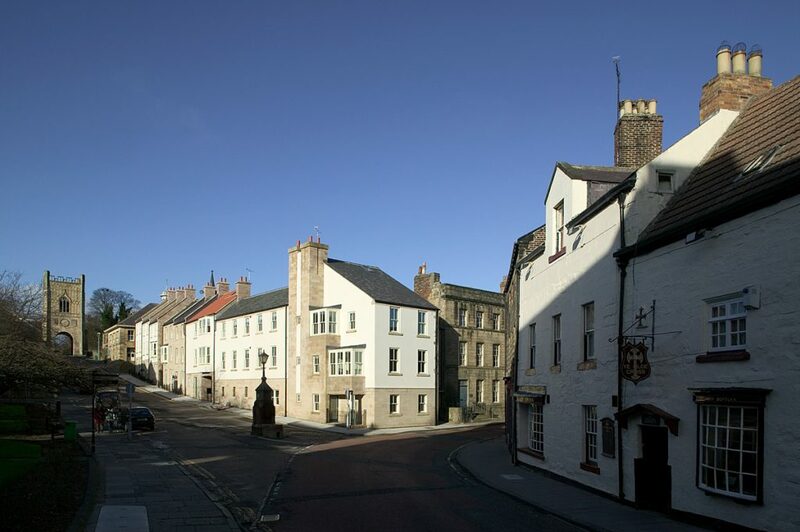 The seven apartments are over three floors on the corner site where Pottergate and the main street through the town centre meet. 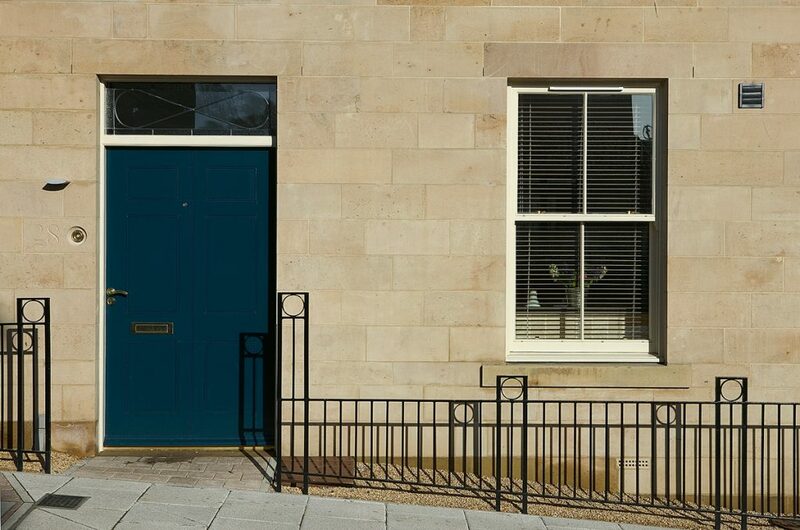 All parking provision is kept away from the street front, being provided at either ground level below the apartments or in car parking courts behind the town houses. 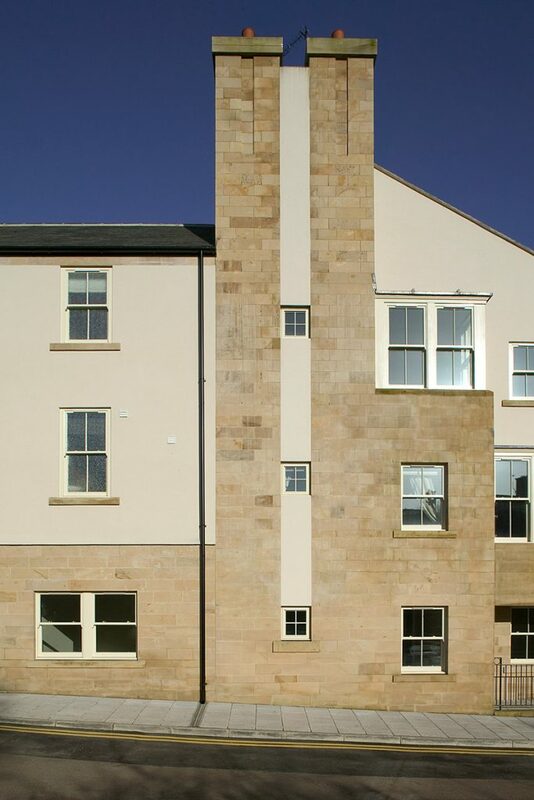 The use of natural stone, slate, clay pantiles and render reflect the building materials of the area.